Pickwick Jewellers and Pawnbrokers recommends that you print out and keep a copy of these terms and conditions for future reference. 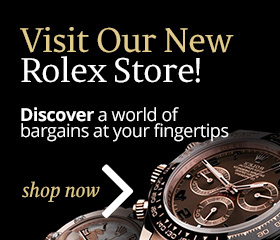 This site is owned and operated by Pickwick Investments Ltd t/a Pickwick Jewellers and Pawnbrokers(“Pickwick Jewellers and Pawnbrokers”, “we” or “us” or “our”). If you have any questions or comments with regard to these terms and conditions please contact us on info@pickwickpawnbrokers.co.uk. 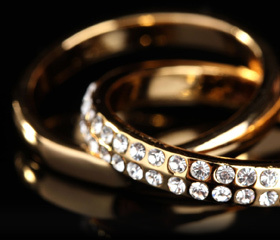 These terms and conditions only cover Pickwick Jewellers and Pawnbrokers website. Any other websites which are linked to from this site are governed by their own terms and conditions. We accept no responsibility or liability for the content or operation of websites, which are not under our control. We are required by law to tell you that sales can be concluded in English only and that no public filing requirements apply. Pickwick Jewellers and Pawnbrokers own the copyright, trademarks and other intellectual property rights in all material and content on this website, which you may use, download, copy, publish, transmit or otherwise make available by any other means only for your own personal, non–commercial use. Any other use or reproduction of the material or content is strictly prohibited. While we will use reasonable endeavours to verify the accuracy of any information we place on the Pickwick Jewellers and Pawnbrokers website, we make no warranties, whether express or implied in relation to its accuracy. We make no warranty that the Pickwick Jewellers and Pawnbrokers website will meet your requirements or will be uninterrupted, timely or error–free, that defects will be corrected, or that the site or the server that makes it available are free of viruses or bugs or represents the full functionality, accuracy, and reliability of the website. We will not be responsible or liable to you for any loss of content or material uploaded or transmitted through the Pickwick Jewellers and Pawnbrokers website. Pickwick Jewellers and Pawnbrokers reserves the right to make changes to our site, policies, and these terms and conditions at any time. If any of these conditions shall be deemed invalid, void, or for any reason unforeseen, that condition shall be deemed severable and shall not affect the validity and enforceability of any remaining condition.